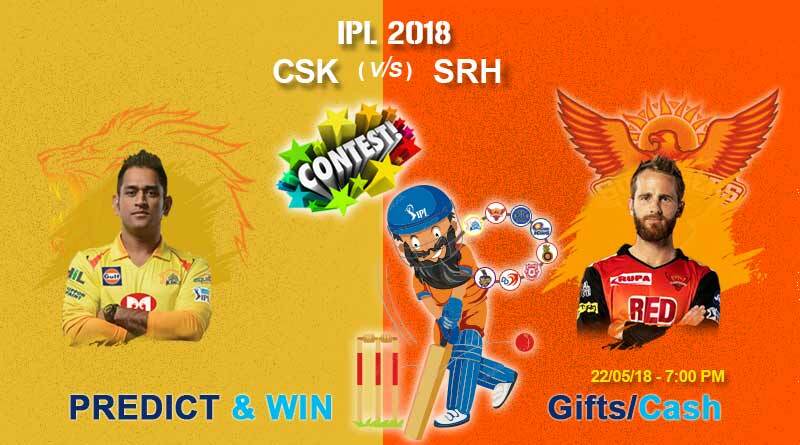 Chennai Super Kings Vs Sunrisers Hyderabad IPL Match Prediction – ICE Baba predicts that SRH wins this match today. With the group stages of this year’s Indian Premier League behind us, the tournament shifts to its knockout stages with the play-offs starting from tomorrow. With a place in the final on the line, Chennai Superkings and Sunrisers Hyderabad will battle it out at the Wankhede Stadium in Mumbai tomorrow at 8 pm. When the first placed side take on the second placed side you can be sure of full fledged entertainment. With both teams finishing on equal points with only a small net run-rate separating them, the math will be a battle of equals. While CSK made history, qualifying for their 9th playoffs, meaning they have qualified for the play-offs whenever they have played the IPL, SRH blew everyone apart thanks to their complete squad. The match between CSK vs SRH will be a battle of Kane Williamson’s wits against MS Dhoni’s. Tactical nuance, batting and bowling plans, fielding placements, powerplay strategies and tactics will heavily dominate the first play-off tomorrow. While SRH have boasted of the best bowling line-up this season with the likes of Rashid Khan, Bhuvneshwar Kumar and others blowing apart teams, the pleasantly superb form of their captain Williamson, Dhawan and Pandey in the batting department have helped make SRH a complete side. The only worry for them going into the match will be their last two matches which ended in defeat. The bowling has veined of a little and needs to recover its lost spark if they are to dismiss an experienced CSK batting order. Coming back after two years, CSK showed everyone what the IPL was missing. Despite going in with the oldest squad in the tournament, Dhoni and co. showed everyone that class is permanent and form temporary. Shame Watson has played a pivotal role for the men in yellow, scoring a huge 438 runs along with picking up crucial wickets to guide them to the play-offs. The pleasant return of Raina to form has helped solidify the middle-order with Dhoni’s late surges guaranteed to see the side over the line in any situation. The match is too tough to call and can swing in anyone’s favour on the day. Chennai Super Kings vs Sunrisers Hyderabad is sure going to one of the most exciting matches of IPL 2018.